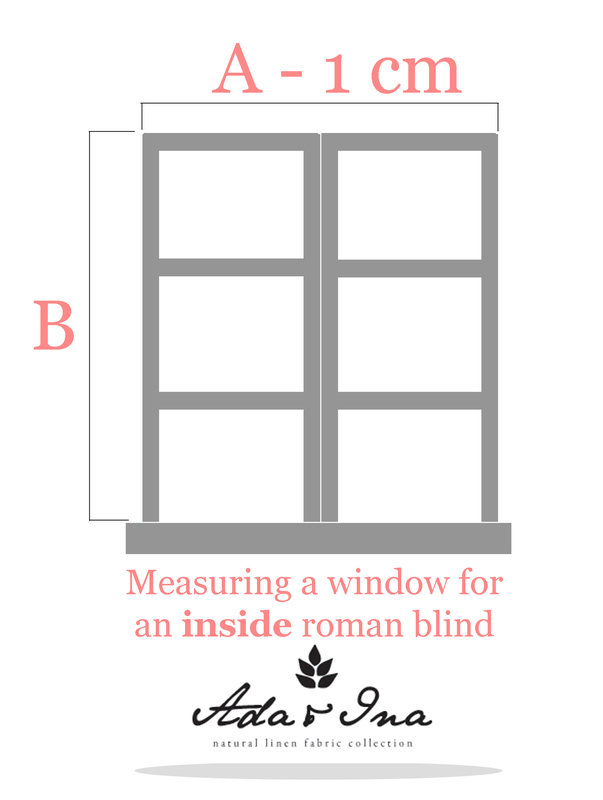 We have gathered together instructions on how to measure your Roman Blinds. You may fit the blinds to the wall (Outside Roman blind) or inside a window recess. Our blinds have the wall / ceiling brackets included, as well as screws and wall plugs. We only use strong sidewinder (chain) mechanisms, to match the high quality of our blinds. Should you have any doubts on measurements after reading this, please Contact us for an advice. Get a price for your Roman blinds online! 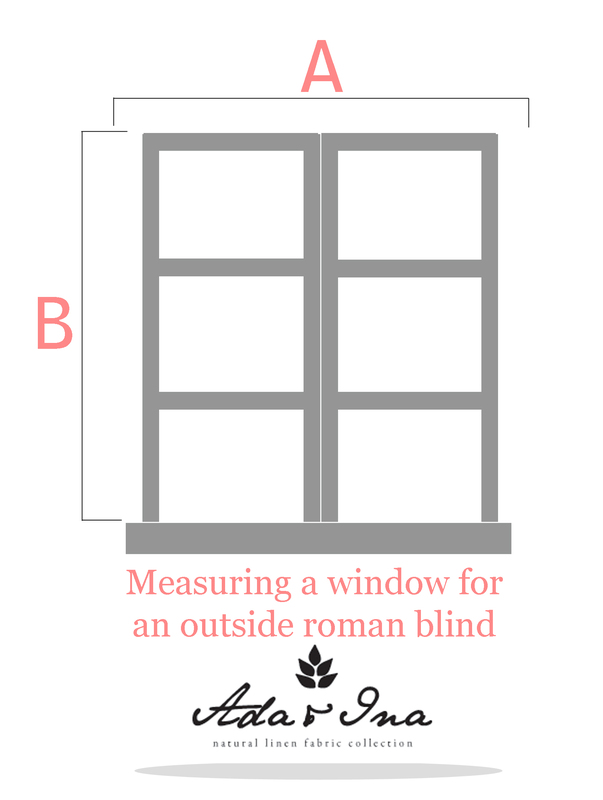 Measure the width that you would like your roman blind to be. This measurement is called ’Outside Recess’ (See fig. 1). 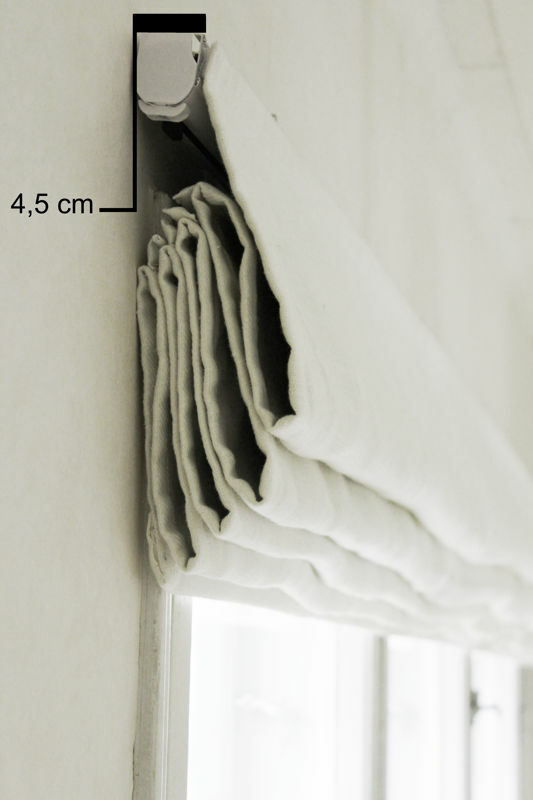 Measure the height where you would like the top of your roman blind to be. 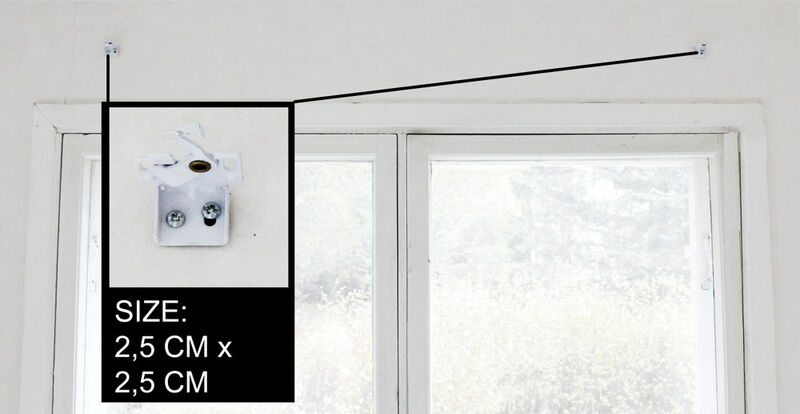 Please note that you should include 5 cm above the window frame to allow for the headrail to be fitted to the wall. Your blind will be made to given measurements. Fitting Height is the distance from the top of the blind to the floor. We need to know the fitting for child safety reasons, in order to calculate the best chain drop for your blinds. When fitted inside a window recess, the blind will be fitted to the top of the recess. Our blinds have the wall / ceiling brackets included. Measure the width of your window recess from wall to wall and DEDUCT 1 cm to ensure your blind can operate smoothly and fits within the recess. This measurement is called ’Inside Recess’ (See fig. 2). 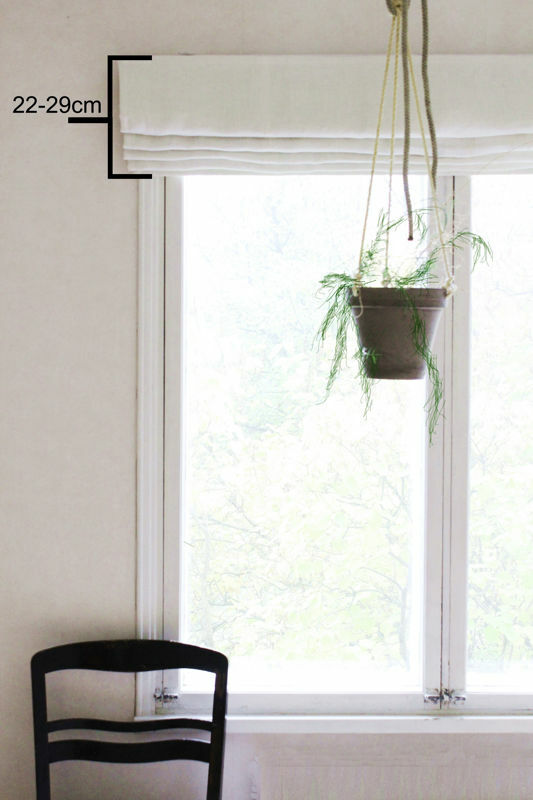 Measure the height of your window recess from top to sill. Fitting Height is the distance from the top of the blind to the floor. We need this for child safety reasons. Use our Roman Blinds Configurator for an instant quote for your blinds.